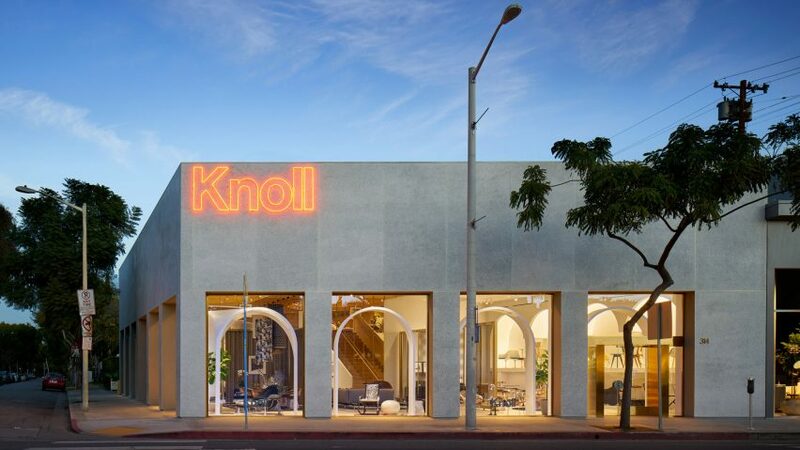 US furniture brand Knoll has opened a store in Los Angeles designed by local architecture firm Johnston Marklee, with white archways modelled on its former president's home in Morocco. 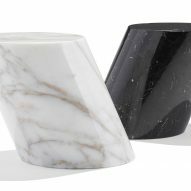 Located in West Hollywood, the Home Design Shop is situated in a corner building clad in grey terrazzo with white marble. The furniture store measures 4,000 square feet (372 square metres) and is fronted by large floor-to-ceiling windows that are framed in brass. The store is arranged as a home rather than tailored to office furniture, like other Knoll showrooms. The interiors were a collaboration between Johnston Marklee, Knoll design director Benjamin Pardo, and interior designer Barbara Reimelt at The Ninety Nine Group. 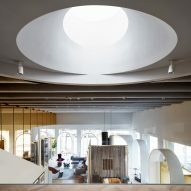 The theme of the store is based on York Castle in Tangier, Morocco, which former Knoll president Yves Vidal bought and restored in the 1960s. Built in the 16th century, the white-walled Moorish residence features a set of prominent outdoors archways, leading to interiors decorated with modernist furnishings alongside decorative Arabic patterns. Inside the new LA store, a series of white free-standing archways are positioned behind the glazed frontage to mimic those at the castle. Small groupings of furniture decorate the space, representative of intimate gatherings at home. Room dividers from Knoll's Rockwell Unscripted collection are used to break up the large space, and to create separate rooms similar to those in a house. Golden-toned mirrors, dark marbles and brass fixtures are used as accents, with herringbone oak on the floors. These materials are taken from another source of design inspiration. "The store is organised around a rich material palette reminiscent of northern Italian architecture of the 1950s and 60s," said Johnston Marklee. 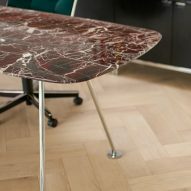 The introduction of new materials and pieces to Knoll's range coincides with the store opening. Rose gold, new marbles, hair-hide leather, and curly shearling are join the selection for customising furniture. 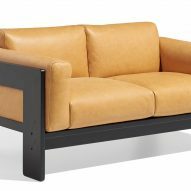 New furniture designs include Avio sofas and Grasshopper tables by Piero Lissoni, and the Bastino lounge collection by Tobia Scarpa. Draped grey felt panels by FilzFelt covers the ceiling and soften the expansive interior, while concealing lighting and mechanical work. The ceiling design was chosen to resemble "the simple fabric canopies of traditional Italian festivals and park pavilions", according to Knoll. Examples of other Knoll pieces displayed are side tables by Eero Saarinen’s Pedestal Collection, David Adjaye's Washington Skeleton Chair and Bertoia diamond chairs. The Knoll shop in LA is a direct-to-consumer model, following the brand's first store of this kind in Midtown Manhattan, which allows customers to shop finishes, fabrics, and leathers, and to create custom pieces.